As well as being safe, secure and affordable, we want our student accommodation to be stylish too. 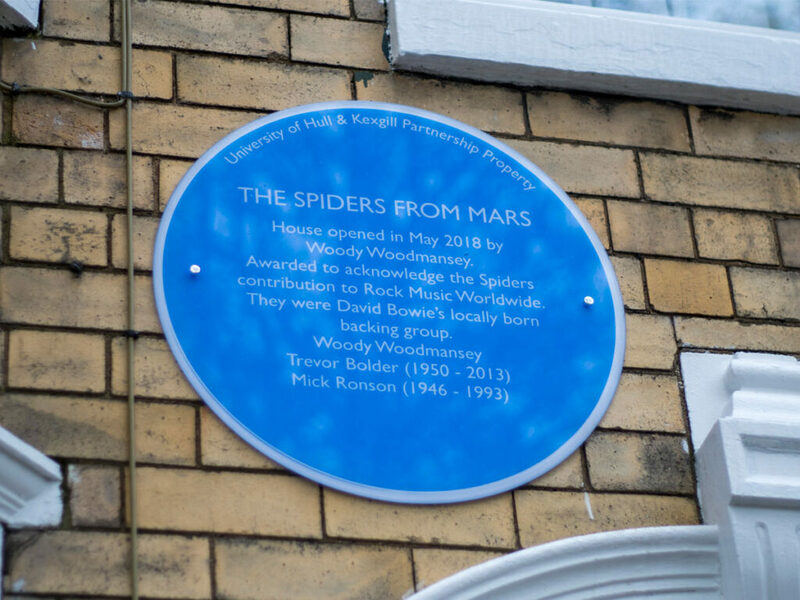 Given that one of the world’s biggest rock stars has his humble roots in Hull, we came up with the idea of doing something special with one of our student properties. It was a unique project, and one that our lead designer absolutely nailed, with tiger-skin shower tiles, Perspex chairs and original 70s light fittings – but what else would you expect from a house designed to pay tribute to David Bowie’s legendary backing band, The Spiders from Mars? The Spiders from Mars was comprised of guitarist Mick Ronson, bassist Trevor Bolder and Woodmansey. They played on influential records including Bowie’s concept album The Rise and Fall of Ziggy Stardust and the Spiders from Mars (1972) and Aladdin Sane (1973). Mick ‘Woody’ Woodmansey, the last surviving member of the band, joined us in Hull to officially open the house. Hats off to our designer, Jane, who absolutely nailed the project from start to finish. Specially commissioned artwork from local artists has helped bring the house to life alongside old tour posters, photos and memorabilia, donated by both Woody and his fans from all over the world. We love a stylish student house. We’re adding new en-suite cluster houses to the University Quarter every week as they become available to let. But given all of these houses won’t be finished until 2020, who knows what other themed houses could be on the way…. Watch this space!